Holdsworth House Hotel is found along a rather anonymous road halfway between Leeds and Manchester, and not far from Halifax. It makes the ideal base for visiting Yorkshire’s Brontë Country and Calderdale’s beautiful and dramatic hills and moors. It’s a stone’s throw from the Lake District, one of Britain’s best-loved regions. This is one of the most attractive short-break destinations, or a stop on a regional tour. There is more to this island than London. Holdsworth House Hotel is a gem at any time of year. The landscape changes with the season, offering different views and experiences. The history of this stunning building is long: this Jacobean manor dates back to 1633, although there is evidence of a building on the site much earlier. There are so many original features here that contribute so much to its ambiance. In the early 1960s the manor was bought by Rita and Freddie Pearson who opened it to the public in 1963 as The Cavalier Country Club. Today the Pearsons’ daughters continue to take an active role in preserving the house’s unique character. 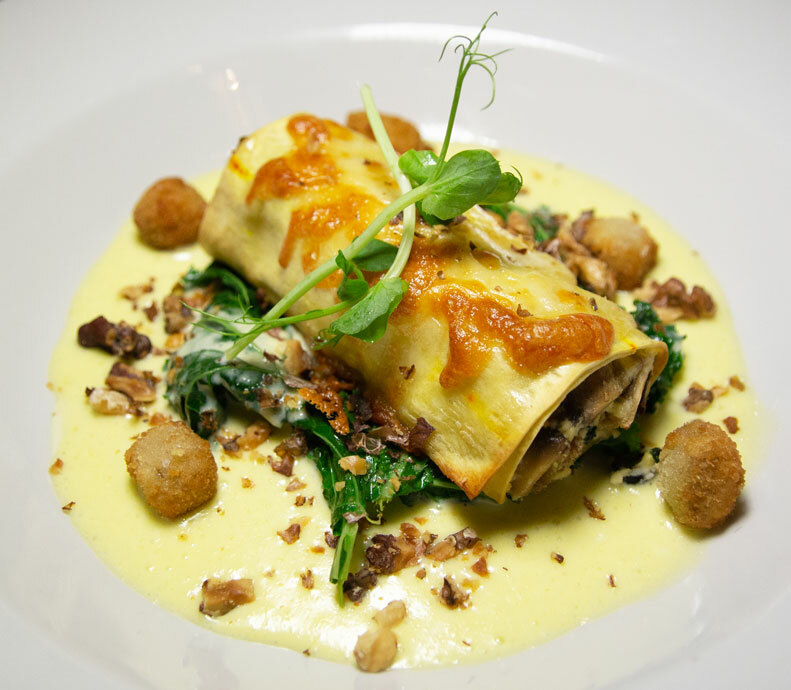 A stay at Holdsworth House offers relaxation in charming surroundings … and then there is award-winning food. There are several rooms constituting the restaurant and they are cosy and perfect 17th century salons with crackling open fires, antiques, dark wood panels and oil paintings, as one would expect in this slice of Old England. Breakfast is a treat, with a considerable spread of all the usual international morning suspects and cooked menu items of regional specialities to fuel the day’s activities. The bacon is outstanding, and the tea keeps coming. And talking of tea, timeless afternoon tea is classic and a must for any tourist looking for a truly local event. 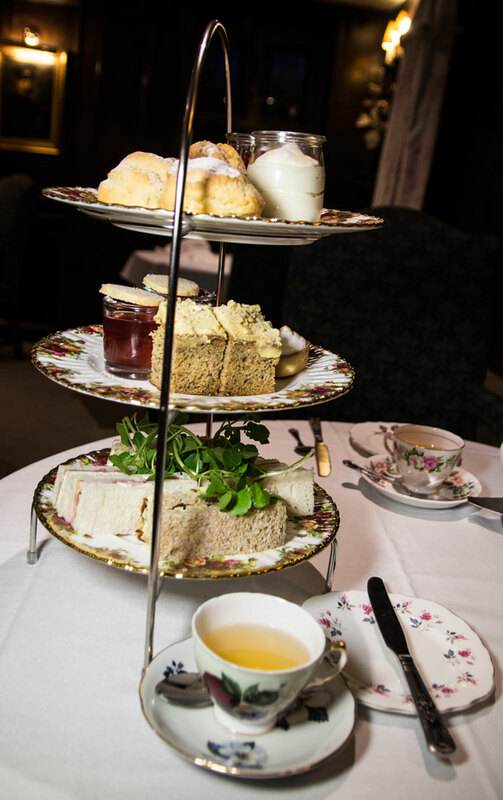 Classic Afternoon Tea presents the able Chef’s selection of savoury sandwiches, handmade pastries and sweet delights, and freshly baked and flaky scones with Chantilly cream and Yorkshire fruit preserves. The 3-tier stand groans with delicious abundance. It’s a full meal to tempt the whole family. If younger members of the group don’t care to try all these perhaps unfamiliar foods, then there is a special kids’ menu for picky eaters and, of course, dietary issues are catered for. Dinnertime has candles flickering and reflecting in leaded windows. The ambiance is intimate and warm. Holdsworth House is the perfect spot for romantic interludes laced with fine food and a rather good wine list. Head Chef Adam Harvey continues the 20-year run of double AA Rosette-winning food – that’s quite a gastronomic accolade. The menu changes with the seasons giving even local visitors a reason to book a table several times each year. Prices are very reasonable for such quality and choice. Portions are substantial so come hungry. Take advantage of winter game dishes, and lamb from spring to winter. Plenty of fish options, too. A northern speciality is cheese with cake. I, as a Londoner, had heard of such a thing but had never tried this combination. 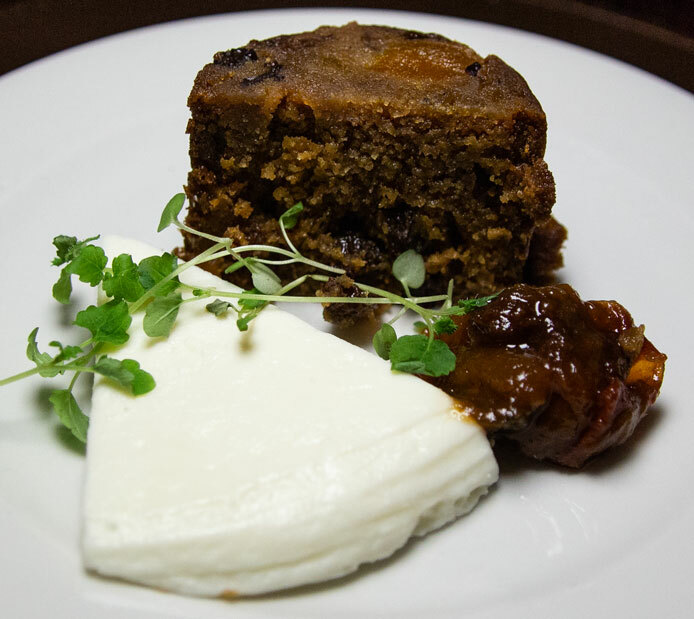 Holdsworth House has Guinness fruitcake served with homemade chutney and a choice of cheese. It is a marriage made in this wonderful corner of heaven.